How to Call Vietnam from the U.S.
Making an international call is easy. To call Vietnam, you can use either your Ooma Telo-connected home phone or the Ooma Mobile app. First, dial 011 to exit the U.S. telephone system. Next, dial 84, which is the country code for Vietnam. Now dial the local phone number, which is either 9 or 10 digits. Keep the following considerations in mind when calling Vietnam. You may encounter listed numbers beginning with a “0.” That 0 is a “trunk code” and is part of Vietnam’s national dialing format (just like how we in the U.S. sometimes use “1” when dialing a long distance number). Dial only the numbers after the 0 to ensure the call goes through properly. Calls made through the Ooma Mobile app do not use any minutes or incur international charges on your wireless bill. Instead, these calls are routed over your data connection and may count against your data allotment if you’re not on an unlimited plan with your carrier. If possible, connect to a Wi-Fi hotspot to place calls in order to minimize data usage. Calling another Ooma customer in any country is free of charge no matter how long you talk. If you encounter any issues or have any further questions, feel free to get in contact with us via our Customer Support website at https://support.ooma.com. 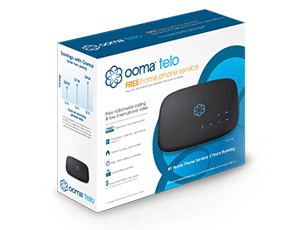 It can often be expensive and difficult to call Southeast Asia, but with Ooma Telo, it’s affordable and easy. Using Ooma’s Basic Service or Premier Service, calls to both landline and mobile numbers are billed at the same $0.092-per-minute rate, meaning a 10-minute phone call costs $0.92. Basic Service is prepaid, so charges are deducted from your prepaid balance, while with Premier Service, the per-minute charges are added to your bill in addition to the $9.99 monthly fee. While Basic Service has no monthly fee for crystal-clear nationwide calling, Premier Service offers a whole host of additional features for a low monthly charge. For example, Premier Service customers get powerful call-blocking tools to protect them against telemarketers and robocalls, as well as an Instant Second LineTM for making and receiving calls when your primary line is in use, the Ooma Mobile app for making calls from your mobile phone anywhere you are, voicemail access through email and text notifications, free unlimited calling to Canada and Mexico, plus many others that Basic Service doesn’t provide. Ooma’s rates are far better than its competitors. Not only does MCI charge $0.55 per minute for any calls made to Vietnam, but you have to pay a $4.00 required monthly fee to get the long distance provider’s best rates. That means the actual per-minute rate is much, much higher than Ooma’s low rates. Ooma-to-Ooma calls are 100% free regardless of the amount of time you talk, so if your contact in Vietnam is also an Ooma customer, you can talk as long as you want and it won’t cost a penny. You’ll also have calls in crystal-clear HD voice, which is much better quality than standard telephone lines can provide. Ooma’s international dialing plans are a great way to save money on calling abroad, especially if you call overseas frequently. The Ooma World Plan does not provide unlimited calling to Vietnam, though it does include unlimited calling to landline numbers in 60 other countries and mobile numbers in 10 countries for $17.99 per month. This plan is perfect for those looking for a low-priced option for unlimited international calling in the most frequently called countries worldwide. Calls to Vietnam with this plan are billed at the standard $0.092-per-minute rate. These charges are added over and above your monthly plan charge. The Ooma World Plus Plan does include unlimited calling to Vietnam, and costs $25.99 per month. In total, this plan includes unlimited calling to landlines in 70 countries and mobile phones in 40 countries — a great deal for those who need to place calls to numbers in several countries. Learn more about Ooma’s international plans and all the countries that are included.